C&R Plumbing are boiler installation and central heating experts operating throughout Colchester and across Essex, Suffolk and London. As well as providing full boiler and central heating system servicing, we can also help with the selection and installation of the most suitable new system for you. We will come to see you and make an assessment of your requirements. We then go through the available options, taking time to explain all the “pros” and “cons” as well as answering any questions you may have. We work with products from all the top manufacturers including Vaillant, Glow-worm, Worcester, Ariston, Remeha, Ideal, Baxi, Potterton and Biasi. We also supply and fit all types of energy-efficient pumps, controls and other ancillary equipment. C&R Plumbing is Gas Safe registered and we are fully qualified to work on unvented cylinders and solar heating. We realise how important it is that removal of your old boiler and the fitting of a new one should be carried out with as little disruption to both your home and your lifestyle as possible and we organise everything we do taking this fully into account. In addition to boiler installation, we can provide a complete range of complementary central heating services. 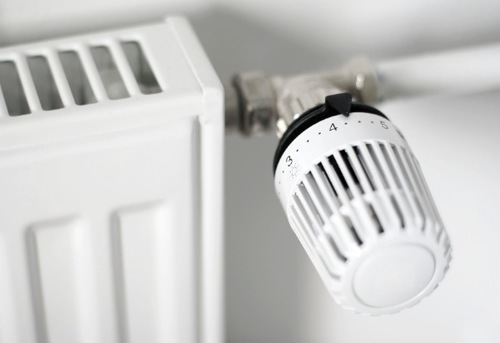 You may have experienced excessive boiler noise or cold spots on your radiators. If so, power flushing the system may be the answer. We can test the water in the system to see how badly clogged with iron oxides it has become. Then a pump is used to propel the right type of chemical descaling agent through the system. Finally, we’ll use a microprocessor meter to measure the results achieved. In many cases, this restores system performance to an optimum level straight away and in just one visit from us. We can also deal with leaking radiators (or simply fit new energy-efficient versions), repair boiler breakdowns or manage annual servicing for you. Whatever the issue with your central heating system, C&R Plumbing can solve the problem for you.